There’s a lot more to football in the CONCACAF region than the Mexico-USA rivalry and yet it remains the main draw. Games between the two always serve up enthralling encounters and the large Mexican diaspora living in the States only adds to the rivalry. 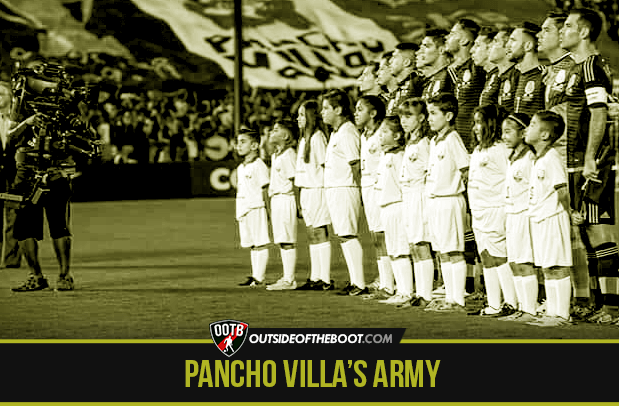 Thomas Harrison takes a look at Pancho Villa’s Army, a fan group for Mexican fans in the USA. The recent Confederations Cup play-off between Mexico and the USA, which Mexico won 3-2, highlighted the support that the Mexico national team receive in the US, something which I mentioned in a recent article on this website. In light of this, I decided to take a look at a major fan group for Mexico fans in the USA, Pancho Villa’s Army, and how supporting Mexico in the US relates to the identity of Mexican-Americans. Named after the Mexican Revolutionary general, a heroic figure to Mexicans for standing up for the poor, winning many battles and uniting the people of northern Mexico, Pancho Villa’s Army was founded by Sergio Tristan after he watched the 2011 Gold Cup final in a pub dominated by US fans. Pancho Villa’s ability to unite Mexicans under a common cause is the main reason behind Sergio Tristan naming his fan group after the general, and uniting Mexicans in America is very important to Sergio. In an interview, Sergio told me that some of the Mexican communities that existed in the 1980s and 90s had been lost, “mostly due to work and families spreading out around the country, [therefore] we are losing a little bit of ourselves”. As a result, one of the main aims of Pancho Villa’s Army is to bring back that camaraderie, which “millions of Mexican-Americans yearn for”, through soccer. On this front, I got the impression Pancho Villa’s Army had been rather successful when I spoke to one of their members, Marco Gonzalez. Marco, part of the Phoenix “battalion”, described the group’s meet-ups, which take place every time Mexico play, as “empowering”. Adding, “you’re meeting up with people who share the same passion as you, so the commitment resonates throughout the entire group”. Marco also spoke to me about how he became a follower of Mexico, which really emphasised the important role that the Mexican national team plays in the culture and identity of many Mexicans. 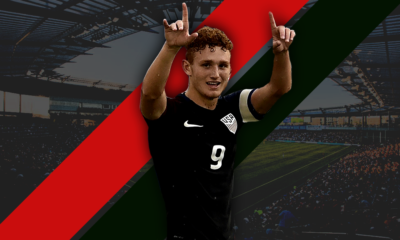 Marco told me how he started supporting El Tri at a young age, when he would go round to his grandma’s house to watch Mexico’s World Cup games. “It was always an event”, Marco explained, “whether at 5 in the morning or at 1 in the day”. Like many Mexican-Americans he’s also visited Mexico many times and feels a strong connection to the country that his parents originate from. 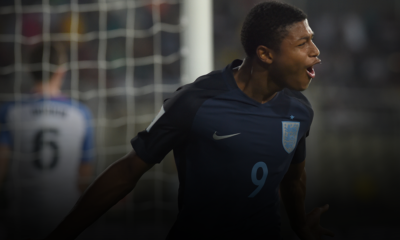 Supporting your country from a young age isn’t particularly significant, it happens all across the world, but following the country of your parent’s birth, whilst living in the biggest rivals of that country makes this scenario different. 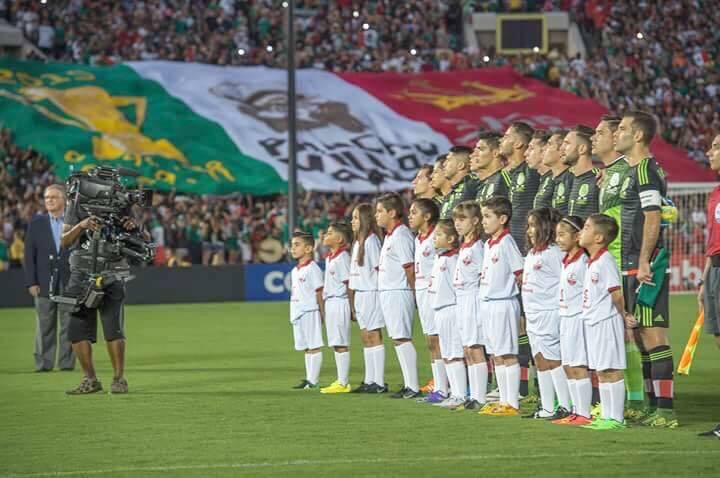 To give an example of the nature of the rivalry, during the build-up and aftermath of the recent US Mexico game, Mexico fans on both sides of the border, including Pancho Villa’s Army, often tweeted #ElFutbolEsNuestro. This statement is aimed directly at the USA and translates to “football is ours”. The USA clearly dominate Mexico, and the world, in most aspects, but historically football has always been Mexico’s thing, always a way of getting one over their northern neighbours. Considering this, it’s no surprise that Mexican migrants to the USA have continued supporting El Tri and have passed that support onto future generations. Mexico’s dominance was in question before the Confederations Cup play-off though, as Mexico hadn’t beaten their arch rivals since 2011, despite five matches between the two sides taking place in that time. Therefore, victory was hugely significant for fans of the Mexican national team as they proved they’re still the kings of CONCACAF, or as Mexico fans said, Sigo Siendo El Rey. As well as playing a role in the identity of Mexican-Americans, Pancho Villa’s Army have a political agenda. 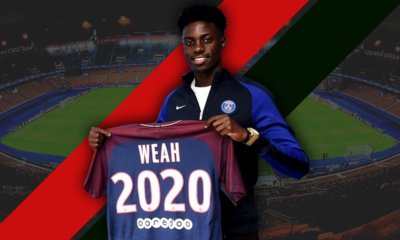 Two of the organisations five stated goals are about supporting young Hispanics living in the USA, in both education and youth football. “We want to help kids who don’t have the resources to develop in the US because they can’t pay the fees that the current pay for play system requires”, Sergio explained. Unfortunately, there’s been some negative responses to Pancho Villa’s Army from non-Hispanic Americans. Sergio told me that they are often questioned why they support Mexico but live in the USA, adding “many are racial in nature and alarming”. The negative, sometimes racist responses to the Army suggests this feeds into wider debates and issues surrounding Hispanic migrants to the USA. The popularity, in some corners, of the extreme Donald Trump gives a good impression of how some Americans feel about Americans with Hispanic origins. Undeterred by negative reactions, Pancho Villa’s Army “choose to ignore it and just continue to do what we do”. Sergio’s hope is that the group will help to pass down the “love for the Mexican National Team”, as well as Mexican culture. Discussing the importance of passing on Mexican culture to future generations, Sergio told me; “Once you lose your culture you lose a piece of who you are and where you come from. Once that goes away, you are no longer unique. We have something beautiful in our Mexican culture and it’s important for future generations to know that, to be proud of that.” Maintaining support for El Tri through the generations is potentially an important part of preserving Mexican culture within Mexican-Americans, this was something Marco brought up when I discussed future generations with him. Whether or not the Mexican diaspora in the USA will continue supporting Mexico through the generations remains to be seen, but Pancho Villa’s Army are certainly doing their best to facilitate this, with new groups being created across the USA regularly. Eventually, the Army may even spread out from the USA towards other Mexican diaspora groups across the globe, London being one of the future possibilities. So watch this space, they may be coming your way shortly. After randomly watching a Liga MX game one Friday night, Tom fell in love with the league and has been an avid follower ever since. 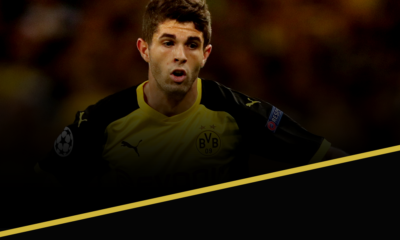 Follow him for more articles and updates on Mexican fútbol.